The Buta Kakuni Experiment - mmm-yoso!!! *** I've had a few emails and several comments below asking about the origins of Buta Kakuni...best that I can tell is that Buta Kakuni is based on a Chinese Dish that the Japanese call Tonporo. Which to me means it's probably Dong Po Rou(Dong Po Pork), if you follow the link, you'll see that it looks very similar. Dong Po Rou is named after the poet Su Dong Po, you can see a translation of one of His poems here. 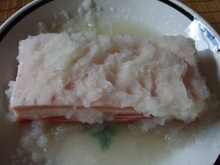 There are two Buta Kakuni recipes that I have used in the past. In the first recipe, the pork belly is first fried, than simmered for several hours. 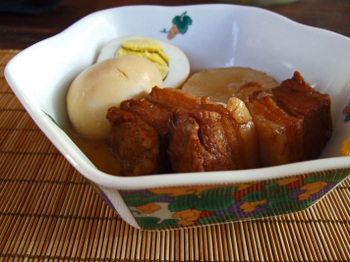 In the second recipe, the pork belly is first boiled in Okara(tofu lees) for several hours before a short braise in a sake-soy sauce-mirin-sugar liquid. What caught my attention was that Hiroko Shimbo's recipe first steamed the pork belly, before cooking in the flavoring liquid. 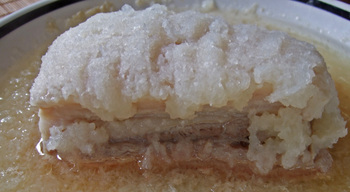 And what was even more interesting was that the pork belly was first covered with grated daikon! 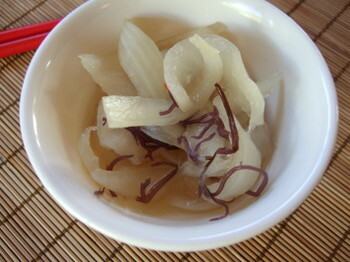 According to the book, Daikon contains two digestive enzymes, protease and diastase which help to remove excess fat and tenderize the pork belly. What you see above is the result. I used the steaming technique in the book, but the flavoring is the one I've used before from other recipes. 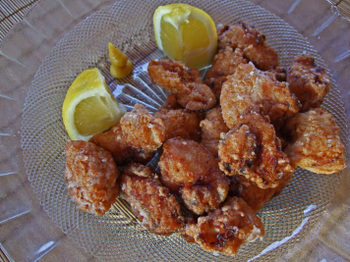 I've had some recipes from Hiroko Shimbo's book not turn out really well. Since this was an experiment, I only used a 12oz portion of pork belly, which waaay more than enough for us! Buta Kakuni is pretty rich anyway, and I can only eat maybe 3 pieces....before the extreme remorse starts. 2 - In a heatproof dish(make sure that it will fit the steamer) place 1/3 of the grated daikon and liquid over the bottom of the dish. Place the pork belly on top of grated daikon. Cover the pork with the remainder of grated daikon. 3 - Transfer dish to steamer and steam for 2 to 2 1/2 hours. I use a bamboo skewer after about 90 minutes to see how tender the pork belly is. Remember to keep replenishing the steaming liquid as necessary. 4 - Once the pork can be easily pierced with a bamboo skewer, remove the dish (carefully) from the steamer. 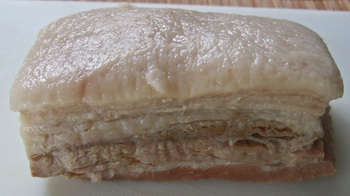 Place the pork belly in a bowl of lukewarm water and gently rinse the pork. 5 - Dry the pork with paper towels, and cut it into 2 inch cubes. 6 - In a pot large enough to hold the pork in a single payer mix together the rest of the ingredients. Place pork in pot and bring to a boil. Once boiling, reduce heat to a simmer. 7 - Simmer for 30 minutes, and check flavoring and texture. Make adjustments and simmer for at least 30 more minutes. 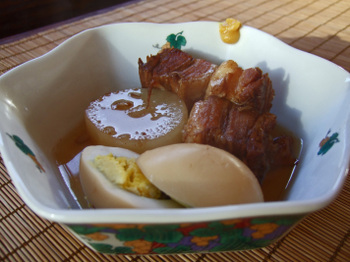 * On this day I added slices of daikon and boiled eggs before the last 30 minutes of simmering. Oh, and don't forget the Hot Mustard! The Pork Belly was very tender, and the remaining fat was smooth and velvety. The Missus thought it a bit too sweet, but I could have done with something cooked a bit longer, but I think the pork would have started falling apart. Of course, I've heard of places simmering their Buta Kakuni for 12 hours or more, but I don't think I'll be doing that in the near future. And followed it all with a double shot of Lipitor(I'm kidding, of course)! 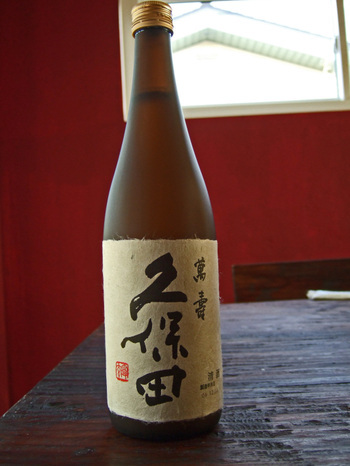 I did have a bit of one of my new favorite sakes, Yaegaki "Mu"...why they would name a sake "emptyness" is beyond me. 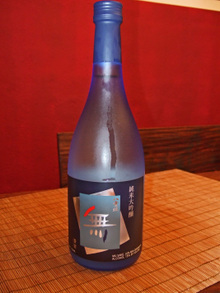 This sake has a bit of a sweeter profile(not as sweet as Kurosawa), though I think it goes really well with food. I did wish I still had another bottle of this on hand though! Your homecooking projects are one of my favorite type of posts on your site Kirk. Fantastic post! So who created this braised pork? I've seen the Chinese, Vietnamese, Japanese, and if I recall there is a Thai version of this. Wow, Kirk, you sure can cook. Do you need any help finishing off that pork belly, or did the boyz jump on it already? I can hardly keep up with all the posts recently. Keep up the good work. If you've been back to Asia Cafe recently, perhaps you could share a few photos; I know Ed said many of the best dishes are not on the menu. You haven't posted anything from Ba Ren for a while... Maybe a rotation update is in order? I'd bet Thien thanh is on the list by now. the sake you have at the bottom picture, i brought to a party with my friends. Yes, I agree with Kare Raisu, these are my favorite posts! I had no idea that daikon served as a meat tenderizer. Very interesting. The final product looks wonderful and the burgundy color of the meat is fantastic. Great job again Chef Kirk! I know I've said it before, but I'm always in awe of your mad, mad cooking skillz. Buta Kakuni is a recent discovery for (I think I learned about it from either you or Daily Gluttony)...now I am addicted to it, to the detriment of my heart health (although the blame must be shared by Crispy Pata and Lechon Kawale). I'm not going to try this recipe myself, because I know I will make too much, no one else will eat it, and I will end up finishing it all up myself, and then, I will die. It was great to finally meet you, esteemed Kirk-san. Thanks for driving up all the way from SD! That's strange. 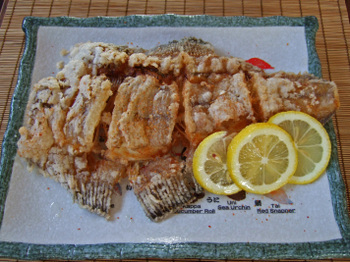 Next weekend, my cooking club's theme is Japanese and I volunteered to make buta kakuni, using Shimbo's recipe. Kirk, I am now convinced that you are psychic! Your pork belly dish looks delicious! By the way, Ba Ren does Dong Po Rou, but they don't always have it. They said they only serve it during the winter. Hi Kaire Rasu - Thanks for the kinds words. Man, that is some CH thread, I should check those boards a bit more than I do. Hi Reynila - It was quite good texture wise, man that fat was great! Hi Billy - Based on your comment, and a few emails, I added a short paragraph of background info....I hope it provides a bit more info. As for Ba Ren, I do have another post ready, but have held it back, since I thought I've posted on Ba Ren much too many times. But for you, I'll do another. We haven't been to Asia Cafe in a few months...and by now Ed from Yuma proably knows more of what's Not on the menu than I.... I need to update the rotation...and add Mien Trung. Hi Clayfu - No problemo! Sounds like you enjoy Nigori Sake...a bit too sweet for me. But hey, I know you like the higher alcohol content, right? Hi PE - I'd never have thought of using Daikon either. The result was quite good. And like I replied to Joseph, this was quite simple and easy to make. Hi Elmo - First off, thanks for invite, I appreciate it. And this wasn't very hard to cook....it is rich and I can't eat very much of it. Hi Howie - Yeah, I remember the Dong Po Rou being on the placard...but never had the guts to order it. I though I'd love it and eat the whole thing myelf! ;o) Like they say..."great minds cook alike!" where did you find the bottle of kubota? I've been trying to get on here in the states with no luck so far. How do you like it? Kirk, make sure you take some Zetia along with your Lipitor. And I gotta wipe the drool off my keyboard again. Seriously though, have you ever tried the don bo rou at a restaurant called Chang's Garden in Arcadia? I really like their version. Hi rc - I have a "connection" that can get me Kubota Manju. I enjoy the refined flavor, but rather have it with a meal, than drinking it alone......it is really, really, good stuff! Hi Liver - I'll make sure to do that! ;o) Haven't been to Chang's Garden yet....it's next to Sin Ba La, right? But now it's on my list! Thanks for the recommendation. That sound you hear is me whining like a dog, begging for pork belly! It looks so wonderful! Hi MW - It's a bit different from Dong Pu Rou....but very rich. Interesting that you would cook this at home. I haven't made it in ages if only because it can be quite rich. Like you, I could probably eat only a few pieces before...well, you know.